The past week we have made markets safer by arresting the dangerous flash crash villain who was a threat to national security and the health of the entire financial market system. Like I always say when in doubt follow the money trail in identifying motives and what is really going on here in this Flash Crash arrest. In this case there is this whistleblower who is trying to cash in on the U.S. Commodity Futures Trading Commission’s (CFTC) whistleblower program, created after the 2010 Dodd-Frank Wall Street regulatory reform bill which awards tipsters between 10 percent and 30 percent of the total sanctions collected if the government collects $1 million or more. The trader Navinder Singh Sarao who traded from the suburbs of London has made an estimated 40 Million dollars in profits from trading over the time period in question with his questionable trading practices and the CFTC will go after the full amount. The whistleblower could net between $4 million to $12 million for his ‘original analysis’ of the 2010 flash crash depending on what the legal proceedings are able to claw back from the trader. It is easy to see how the DOJ got involved since they have been regularly involved in making high profile cases against Wall Street over the last several years. It is good for their visibility effort, and making a name for those involved in the department and enforcement function. The problem is that there is nothing ‘original’ in this analysis on behalf of the whistleblower, this type of high frequency trading market manipulation goes on every day in every financial market in almost every asset class across the broad trading spectrum. It has been outlined by everybody from Nanex, Zero Hedge, Michael Lewis and many others in the industry. 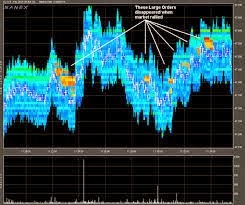 Computer driven market manipulation strategies are so pervasive in financial markets, they are far worse today than the flash crash period of 2010, and incorporated not just by the HFT firms, but by the large financial institutions, hedge funds, market makers, and many other market participants. Flash Crash – Does the DOJ really want to go down this Rat Hole? Literally the problem for the DOJ is that if this guy is guilty, then the DOJ has to arrest the entire financial community, because all the DOJ or CFTC has to do is pull up a Trading Dom (Depth of Market) price ladder in anything from bonds, oil to S&P 500 futures and spoofing and many other volume based manipulative trading practices are regularly occurring right out in the open on a large scale. The real indictment here is that the CFTC or the DOJ needs any type of original analysis to identify this type of illegal trading activity, as it happens right out in the open for everybody to see. You don`t even have to pull trading records to see it, it is just that blatant. It has definitely gotten progressively worse from the 2010 period. In fact, spoofing is so commonplace that market participants probably don`t even think a millisecond whether it is an illegal tactic to manipulate prices. Furthermore, the arrest for spoofing sure didn`t scare any firms from incorporating this spoofing strategy because it was happening every day last week, and as of Friday`s trading was as rampant as ever in Friday`s price action. Why go after this small trader? This frankly just shows the ignorance by the DOJ and the CFTC on this matter, they could go after Goldman Sachs, JP Morgan Chase and every other major financial institution for spoofing, as the practice has been adopted across the trading community as acceptable behavior. When the oil market has 8 or 9 Spoofing events going on at the same time, and the sizes and capital necessary to enact such strategies, it is pretty obvious that more than just a few high frequency trading firms are employing spoofing to influence market direction for profits. Why go after 40 million from this small independent trader, this is peanuts for the DOJ, they could easily go after another 100 billion in fines from the likes of Deutsche Bank, UBS, Morgan Stanley, HSBC, Bank of America and the entire lot of the large financial institutions. I guarantee you traders at all the large financial institutions employ volume based and spoofing manipulative price action influencing strategies on a daily basis. It has just become that pervasive due to the advent of sophisticated computer programs and algo based trading programs. Why do you think Goldman Sachs went so ballistic over that proprietary trading program that the developer who left Goldman Sachs wanted to take with him at his next position? Most of the data represented on the price displays regarding bids and offers and volume is completely artificial and fake, created by computers for the sake of deception, and gaining an advantage; everyone knows this in the trading community. 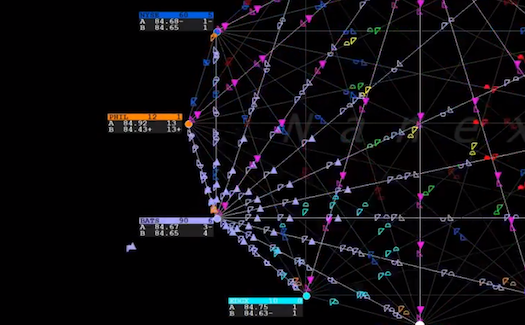 Nobody in the options community believes anything they see as to the posted bids and offers or contracts available to trade because these are all artificially computer driven facades meant to trick market participants and gain an edge in the markets. The issue is that computers started taking over more and more of the everyday market making activity and trading volume responsibilities. 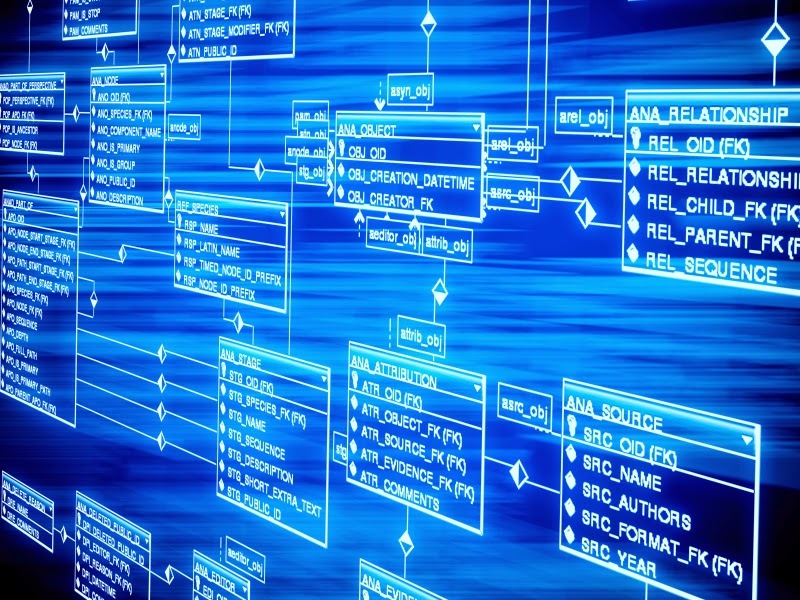 As a result the traders and programmers constantly evolved more advanced trading algos in response to what other firms were doing in this area. It became an arms race where traders had more coding language books on their desks than any fundamental research data. The computer driven arms race is so pervasive in financial markets that if one applied the literal interpretation to spoofing which the DOJ seems to have taken the first step in enforcing. Then this includes even some sophisticated Inventory Selling algos employed by conservative market participants to counter high frequency trading ‘predatory’ algos from front running their exiting of large positions because these algorithms have become highly manipulative of the underlying price action in a given instrument. Everybody is trying to disguise what their true intentions are in financial markets these days, and the DOJ and CFTC it seems is so behind the curve that they jumped all over this small case like it was a goldmine landing in their lap. It could be a curse because now they could be tasked with doing something about this illegal practice that has been going on for over a decade! Is the spoofing activity illegal because it was associated with a crash event, or is it illegal in and of itself? That is the real question the DOJ and CFTC needs to ask themselves. And if it is then literally you can run a simple trading algorithm filter on the historical trading data which is easily available and retroactively apply such large fines across the financial market community that the fines and settlements would be in the 200 Billion dollar range conservatively. Computer driven market manipulation trading programs and practices are incorporated by every large financial institution and have been the standard in the industry at an ever evolving rate of progress for the last 20 years! The amount of money that has been taken out of the market based upon spoofing, volume manipulation and many other manipulative computer based trading strategies over the last decade is literally in the trillions and trillions of dollars. Did the CFTC and the DOJ just not have the expertise to identify that this was going on, were they locked into their own regulatory paradigms, and couldn`t see the larger forest right in front of their eyes and noses? Come on what did they think was going on in financial markets when a populous author like Michael Lewis happened to stumble across an idea for a book topic to cash in on the trend. You know by the time it gets on Michael Lewis`s radar screen it has been going on for a long time, and has gotten so pervasive that even financial journalists become privy to the fringe of the underlying activity. The DOJ literally could pay almost any trader a consultancy fee and he could pull up a Trading DOM, Options Chain, or Futures Market and point out illegal activity after illegal activity hour after hour in the trading day. It is just that out in the open, and blatant! And Michael Lewis was freaking clueless on the topic, the guy has literally no clue what is really going on in regards to the pervasiveness of modern computer driven manipulative trading practices and strategies. He literally is your typical populous author trying to cash in on a vague book idea for a mainstream audience that is shocked by his story. If the CFTC and the DOJ are serious the entire financial landscape of trading is about to change. Of this I have serious doubts, there is just too much money being made from market manipulation strategies, and this poor fall guy just happened to be at the wrong place at the wrong time. Because if the DOJ and CFTC is going to be consistent, then they have to indict the entire financial community from the CME, Exchanges, Brokers, Institutions, Investment Banks, Hedge Funds, Management Funds and High Frequency Trading Firms. It will be interesting to see if some of the large financial firms who have exposure in this area start reigning in traders and programmers in some of these spoofing and other computer driven manipulative trading practices. I bet half the upper management doesn`t even know that the traders at their firms are even employing some of these strategies. They only care about the bottom line profits of the trading group until investigators start asking for documents, trading records, and e-mails. But spoofing is so mainstream today that nobody seems to be worried about regulatory enforcement, and somebody is really out of touch. Either the DOJ & CFTC, or Traders are in for one major wakeup call!